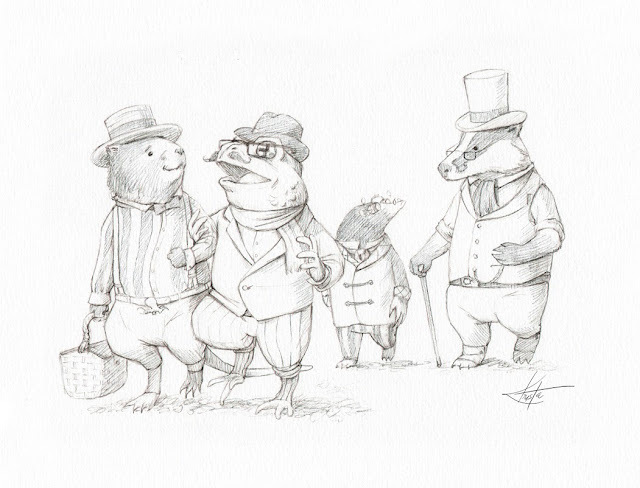 Anyone familiar with the story of the Wind in the Willows will likely know the main players: Ratty, Toad, Mole and Badger. Below you will find my character designs for these four, as well as a few of the additional and incidental characters. 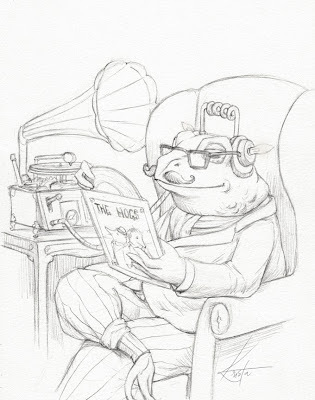 The first character we meet in the story is Mole, escaping from the drudgery of domestic life. 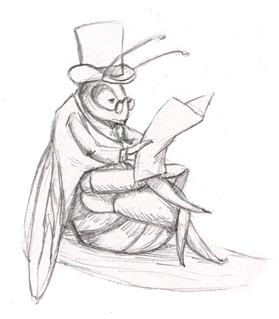 Being almost completely blind, and necessity being the mother of invention, it stands to reason that Mole would quickly design and manufacture some sophisticated spectacles to aid his sight, which would be indispensible in navigating his new life above ground. 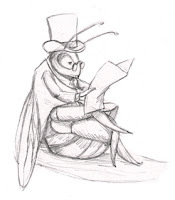 His clothing, as described in the text, is a 'velvet smoking suit'. I imagine Mole, like Badger and most creatures who spend a great deal of time in solitude, as being something of a maker, so upon beginning his new life with Ratty I have him designing tools that will be useful to them both, like steam-powered automated fishing machines or self-rowing oars. Truly an animal of pleasure and leisure, Ratty is a social, charming and friendly neighbour to all. He is the link that connects all of the characters together, generously sharing his home with Mole and acting as a necessary buffer between Badger and Toad when things get tense. 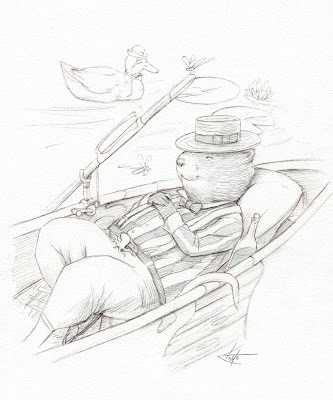 His attire is that of a river-boating man, though a hint of longing for a broader, more wild stretch of water can be seen in his choice of belt buckle. A useful and practical animal, the text describes Ratty as a collector of objects which he might recycle or repurpose, although I do not imagine him being such a natural maker as Mole or Badger. 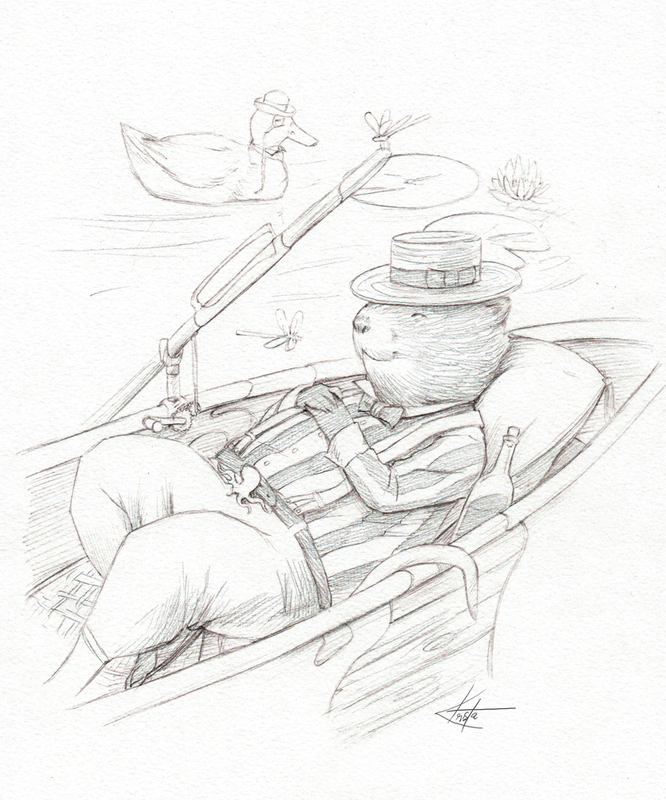 Where on earth would he find the time, when there is so much messing around in boats to do? Always on the look-out for the next piece of novelty, but never able to devote himself to an enterprise long enough to achieve good results, Toad is a feckless and wasteful creature. His house is full of objects, many mass-produced, poorly-crafted or utterly useless, and the remnants of hobbies he has abandoned for the next fad. 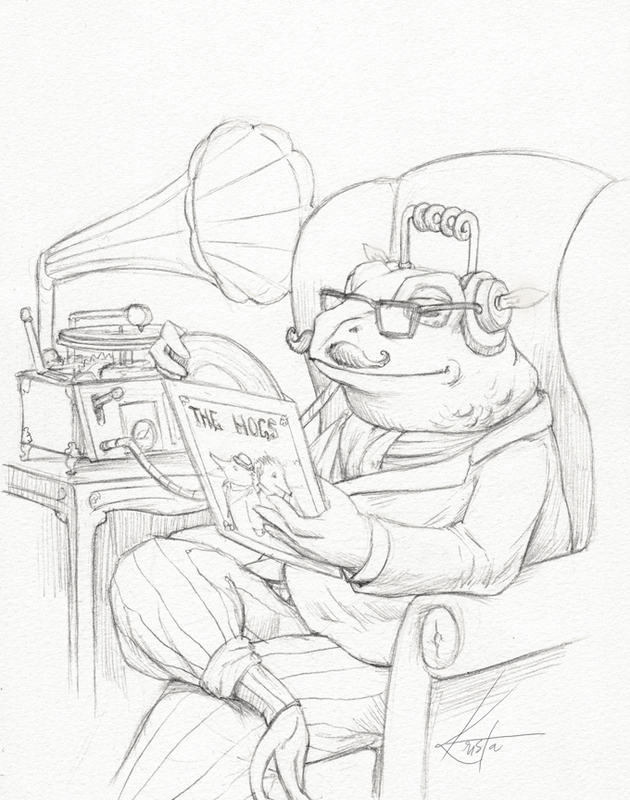 His dress is more modern than the other animals, including reading glasses he doesn't need and fashionable imported hats. Toad is the ultimate consumer, and the thought of creating something himself would probably send him into a faint. Despite his bad habits, however, he is also a generous, loyal friend and (usually) willing to admit when he was wrong. 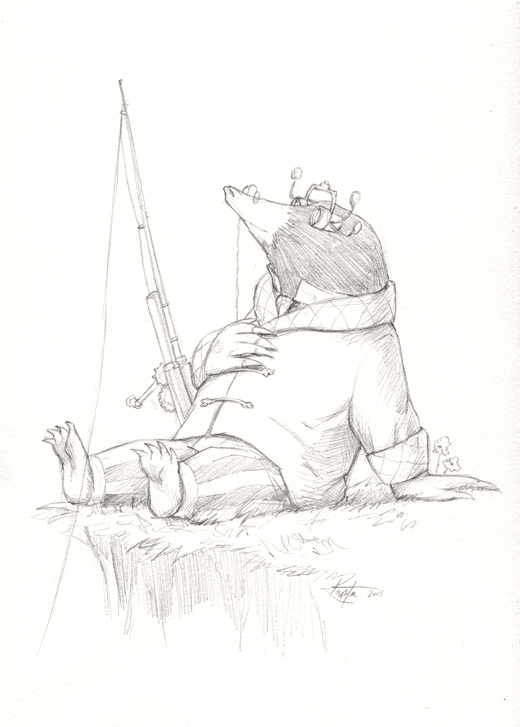 A quiet but ubiquitous presence, Mr. Badger is the most well-respected and revered animal in the story. A true maker, his self-built home is full of objects he has crafted himself, as well as all the supplies necessary for self-sufficiency. 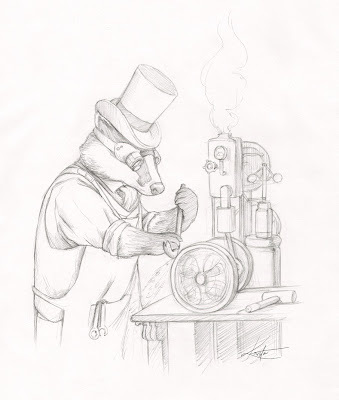 Unlike the rest of the characters, the appearance of Mr. Badger is based on an actual person: Mr. Jake von Slatt, owner of the Steampunk Workshop. 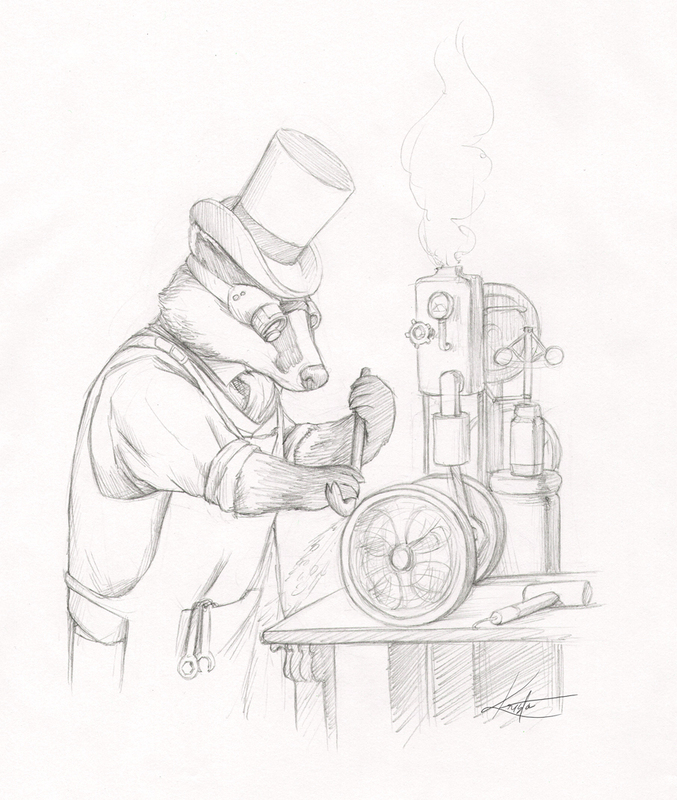 Like Mr. Badger, Mr. von Slatt has been a generous friend to his fellow makers for many years, is well-known and admired in the maker and steampunk communities, and yet remains retiring and demure about his fame. 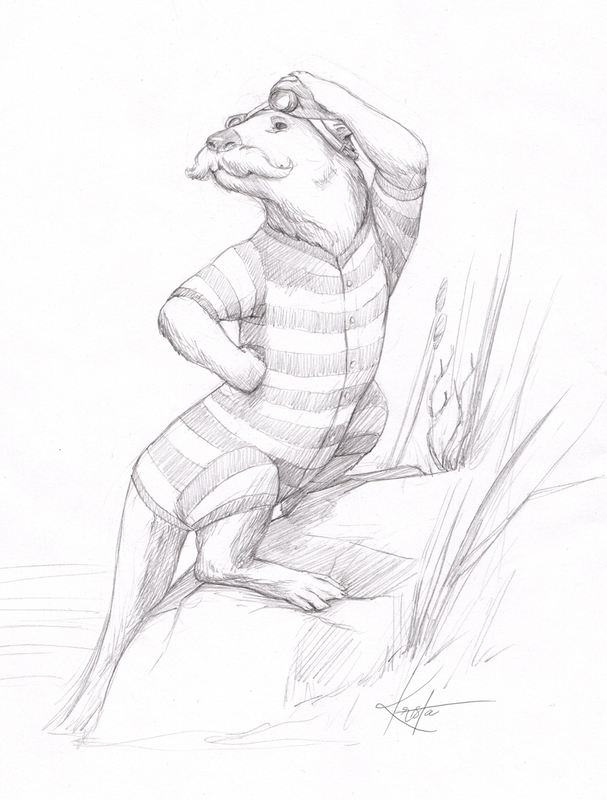 A slighty mysterious character, or perhaps just busy, there is a long-term relationship between Badger, Ratty and Otter hinted at but never expounded on at length. 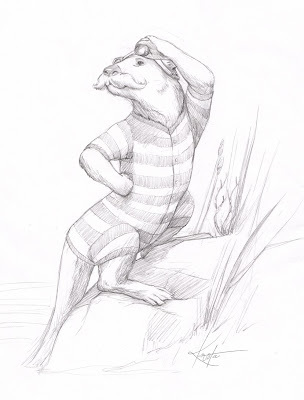 Otter is decked out almost permanently in a long, Edwardian-style bathing suit and goggles, suitable for leaping into a river at a moment's notice. Although a dedicated family man, I imagine Otter to be somewhat spartan in his living arrangements: comfortable and cosy, but never requiring more than the essentials to be happy. 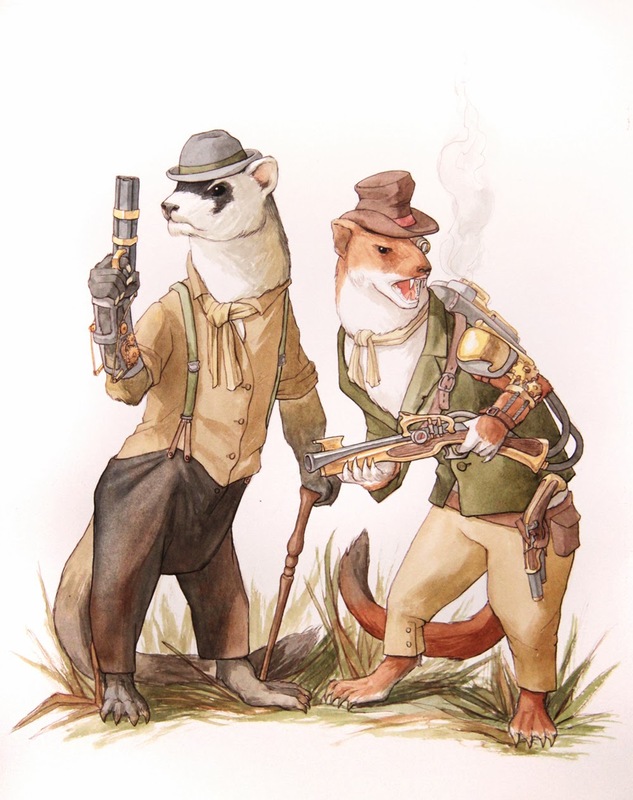 Although rowdy and unruly, the stoats and weasels are quite the ingenious makers. Low-tech, greasy, street-urchin style makers, they produce some of the most clever and devious tools to achieve their ends. Mischievous and taunting, it's hard not to imagine a parade of Artful Dodgers, all crushed top-hats and battered jackets. Still, despite being ruthless animals in the real world, they are considered an integral part of the wider community and tolerated with equanimity. To paraphrase Ratty: you can't trust them, but they are all right in their own way.